When it comes to canal holidays in France, there are so many exciting things to do and see – and the city of Reims is packed to the brim. Whether you want to see architecture, history, culture or just be entertained, there are so many sites in this area that will cater to your interests… and the best part? We visit the majority of them on our luxury cruises, meaning you can sit back with a glass of bubbly while we figure out the rest! 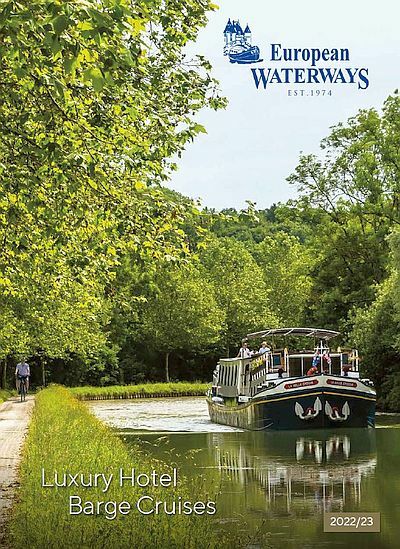 One of our favourite canal holidays in France is our Classic Cruise through the Champagne region – and what better way to celebrate this area than with a champagne tasting? After a private tour of an eighteenth-century manor, you’ll have the opportunity to sample various Henriot bubbles before indulging in a luxurious lunch. Delicious! We will also visit Reims Cathedral, where the kings of France were all crowned. At 800 years old, this magnificent structure is a Gothic masterpiece – and in our humble opinions, this is one of the most awe inspiring sites in all of France. If you like your canal holidays in France to have a little (or a lot) of art, look no further than the Musée des Beaux-Arts. This extensive collection is housed in an abbey from the eighteenth century, and includes pieces from the German Renaissance to the Impressionist era. This is definitely a stop that will stimulate your inner creativity. This one is for the architecture aficionados. The abbey church features examples of both the eleventh-century Romanesque (seen on the nave and transept) and the twelfth-century early Gothic styles (the chandelier and choir gallery). It was named after Bishop Remigius and was originally a royal abbey, so it will also be of interest to anyone who likes learning about religious history. Palais du Tau is a fantastic stop for history buffs to add to their canal holidays in France. This UNESCO World Heritage Site has been used in two prestigious ways over time: as a venue for French kings to hold their post-coronation banquets and as a residence for the archbishops of Reims. Today it has been turned into a museum that now showcases tapestries, statues and religious relics found in the cathedral. Next time you’re planning a holiday to France, why not join us in the city of Reims? As you can see, there are so many reasons to visit.